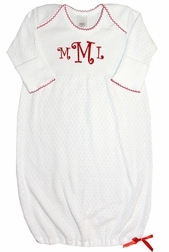 Precious white pointel knit gown by Paty Inc. for baby girls and boys. The gown is trimmed with red tatting and a little red satin bow. 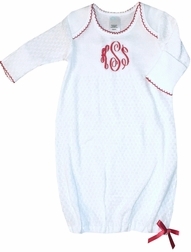 It is perfect for a red monogram and for new little one's at Christmas.